Beeline Brittanys welcomes you to the home of 32X NSTRA Champion Nolan’s Last Bullet! We pride ourselves in breeding the finest Brittanys around. Beeline Brittanys is a kennel built upon the principals of creating the finest Brittany bloodlines possible. We look for hard running, well mannered dogs that are spectacular in the field, and personable enough to share the couch with. We are proud to say that we are family owned and operated, and every one of our dogs is a valued member of our family. 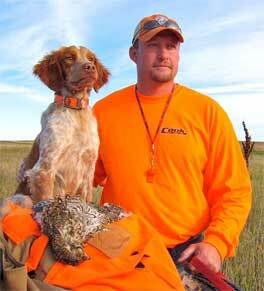 Our dogs average in the 30-35lb range and hover right at 19-22″ at the shoulder. Hips are guaranteed for 3 years and pups are guaranteed. Every dog in the kennel stays sharp on wild birds during the off season.